This entry was posted on October 22, 2010 at 7:45 am and is filed under Fishing, Fly Tying. You can follow any responses to this entry through the RSS 2.0 feed. You can leave a response, or trackback from your own site. Am I correct to say that if I do the same test with the nymphing hooks I will get the same result? Ian I haven’t tested them so I can’t really comment but I suspect that the same would be true. The difference on the water however may well be related to the way that the fish takes the fly and the delay or timing of the strike. I see more experiments looming on the horizon. i had a similar result with cabela’s scud hooks. 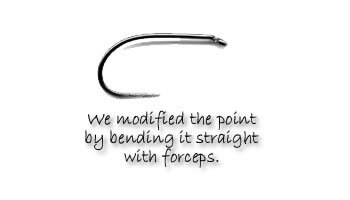 those that had been uncurled while debarbing for beadhead patterns hooked up more often than those hooks left with their original form (merely debarbed). however with patterns that rode point up there was no noticeable difference in hooking success. 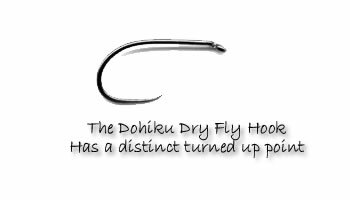 Thanks for your input Craig, It certainly does raise issues for debate and perhaps fly anglers are not quite carefull enough to pick hook designs for varied applications. Just another little wrinkle in what we all tell ourselves is a relatively simple pursuit. I would love to see if an off set hook would fare better. Keep it as is but tweak it slightly of centre.